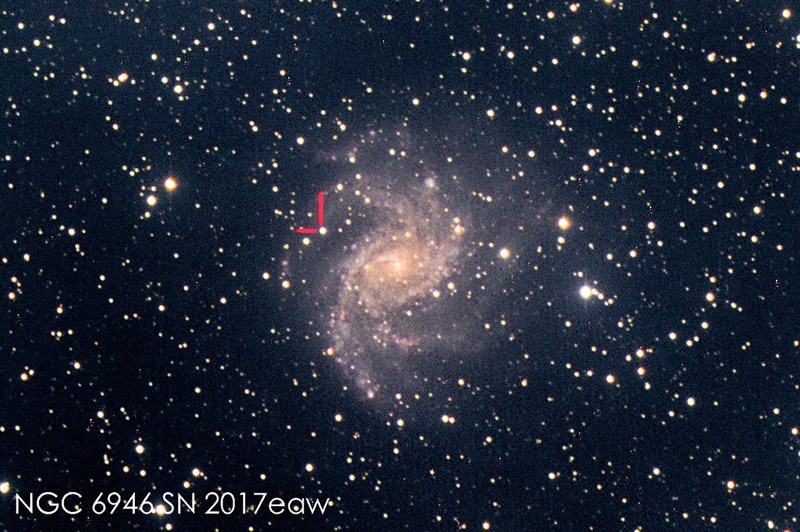 SN 2017eaw is a type IIP supernova, discovered by Patrick Wiggins on May14, 2017. 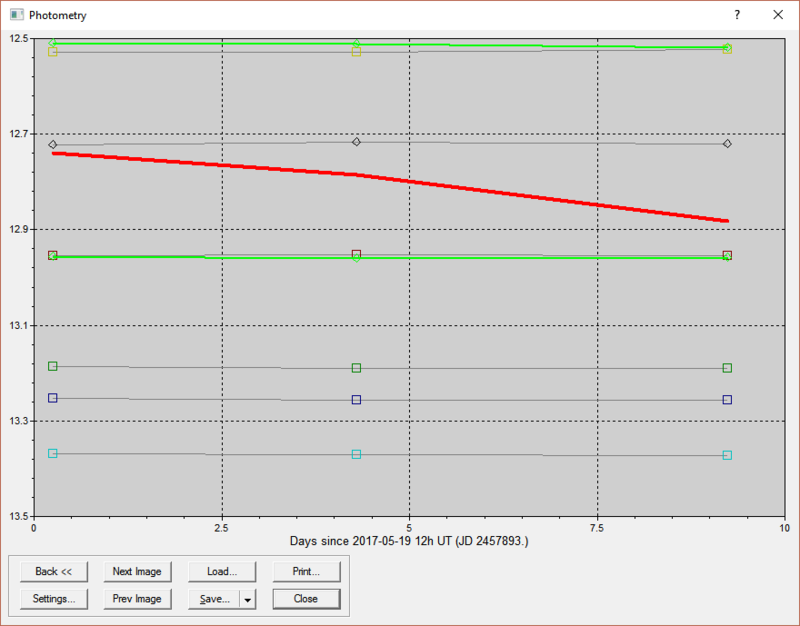 The lightcurve including the measurement taken on May19, May23 and May28, shows the brightness decreasing slowly in V-band. 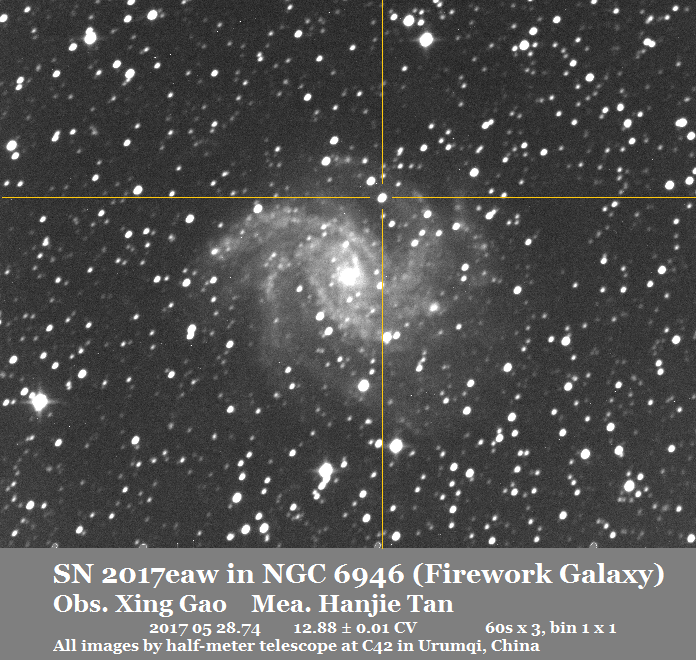 All images were remotely taken by Yu-Peng Chan with the iTelescope T31 (PlaneWave 20 inch CDK with FLI ProLine PL11002M ). 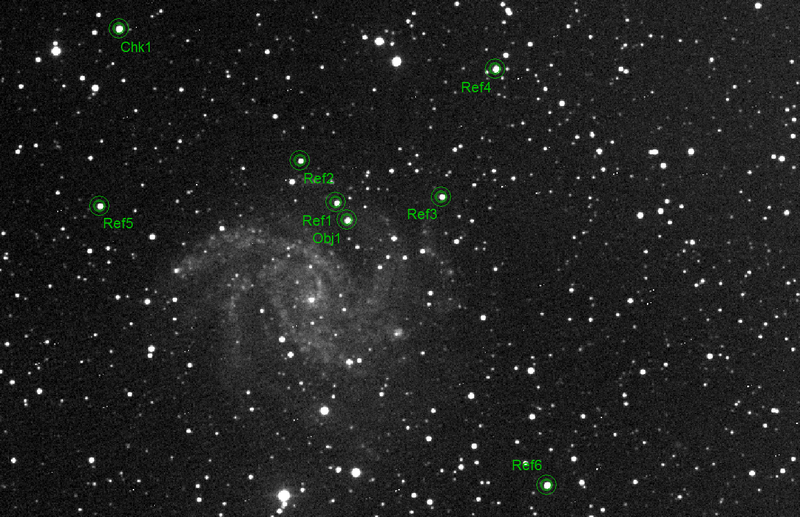 The Supernova was observed in Astrodon LRB Filters at almost the same time (JD2457888.80994 - 2457888.83704). 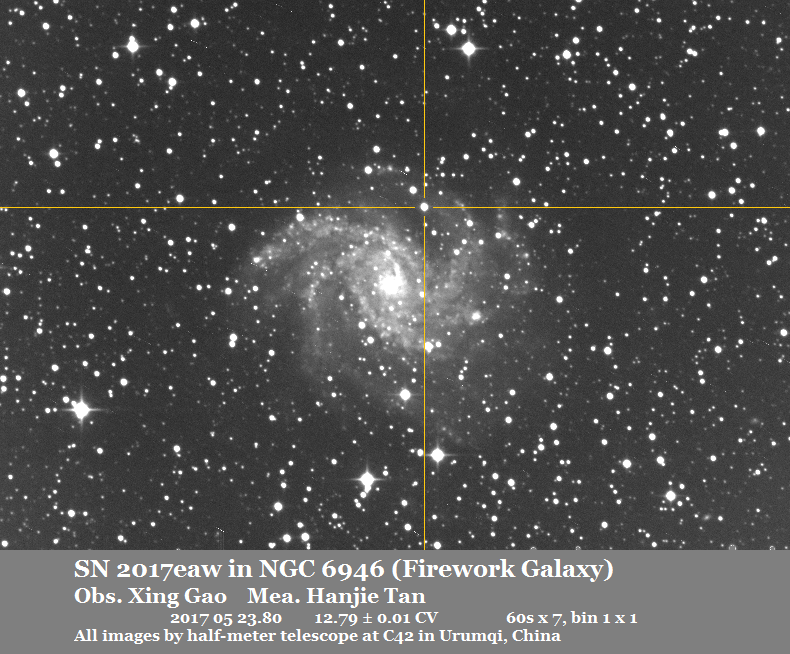 I measure the brightness of SN 2017eaw in each band approximately according to their spectra. The catalog I used is APASS. 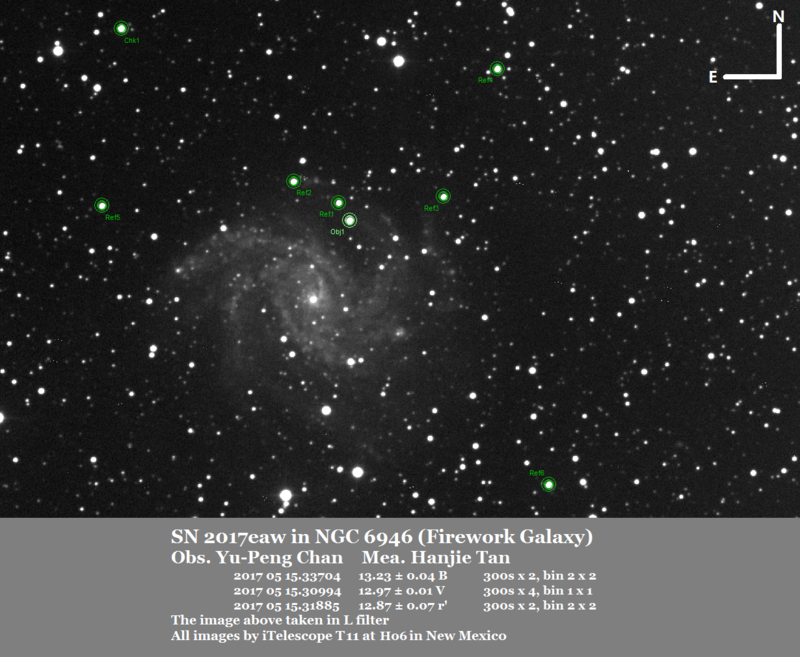 I used the Johnson-V system in L image, Johnson-B in B image and sloan r' in R image. 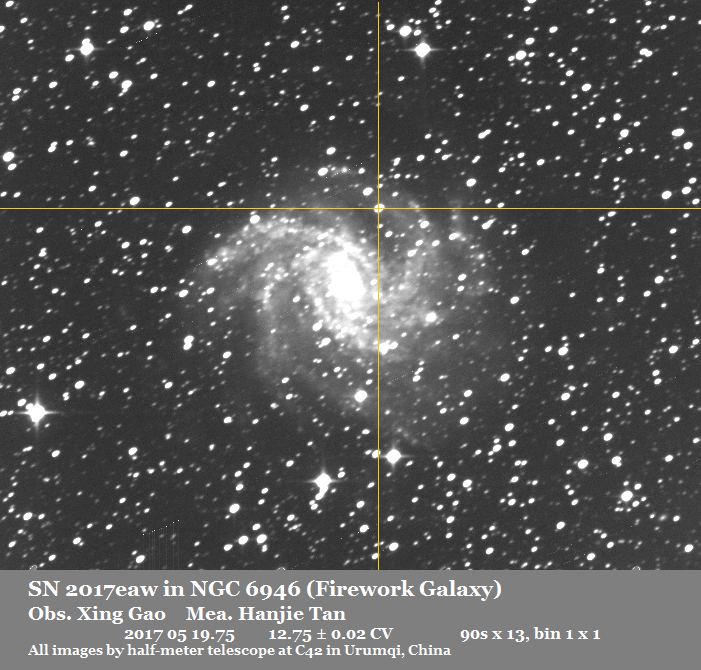 All reference stars and check stars are in good agreement with the catalog. 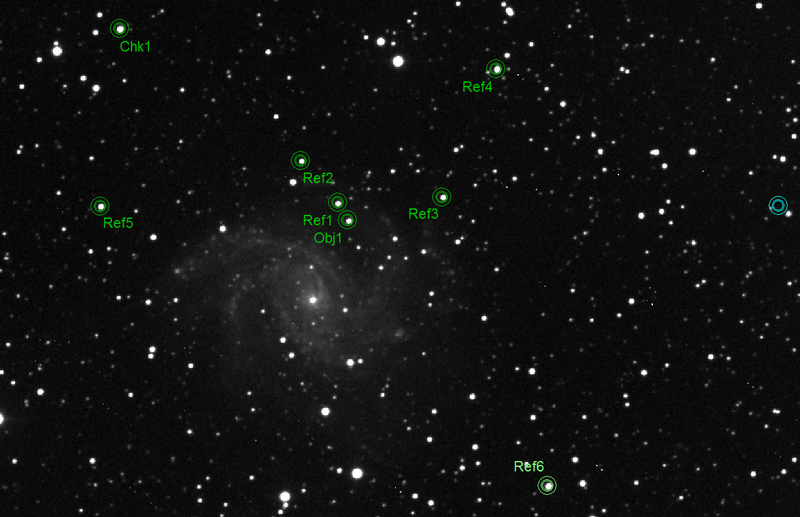 There are another three images taken in R band (Left) and B band (Right) and an LRGB combining (Bottom) done by Yu-Peng.